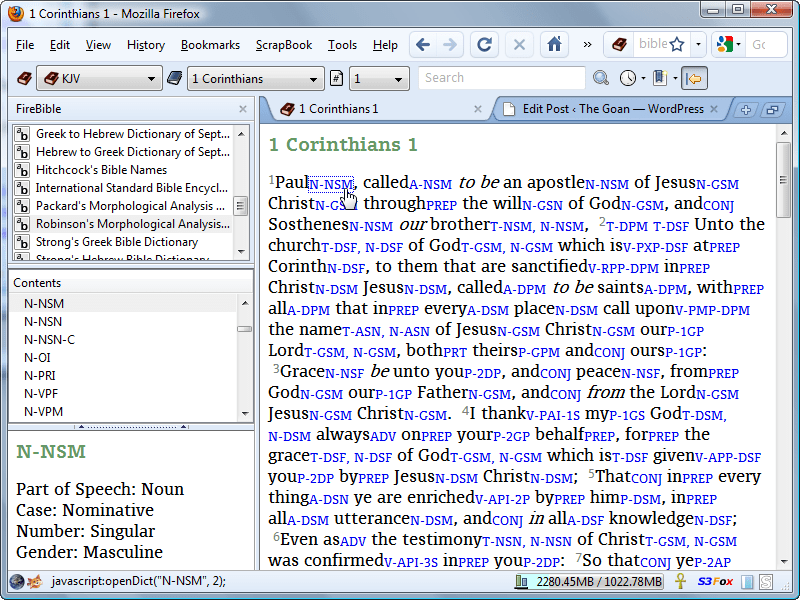 FireBible annotates the URLs when you visit them, placing them in one of the four categories above. Then using a simple places query, I can list them out in any way I want. What you see in the screenshot is just a number of queries I think will be useful. 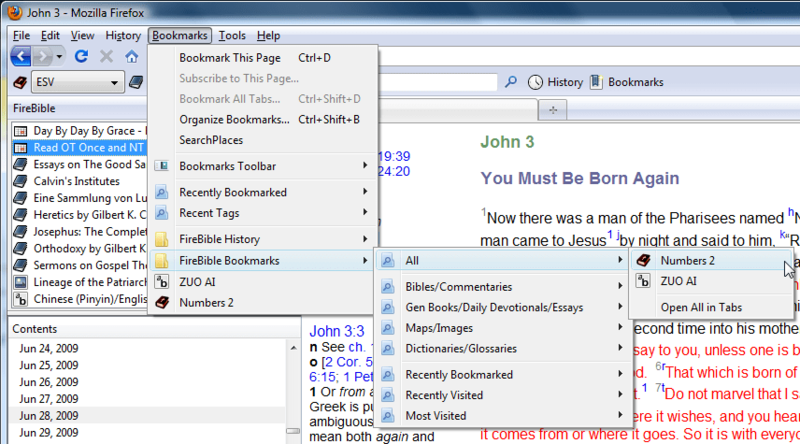 Besides the FireBible toolbar, they are also available in the Bookmarks menu where they can be modified and queries can be added or deleted. 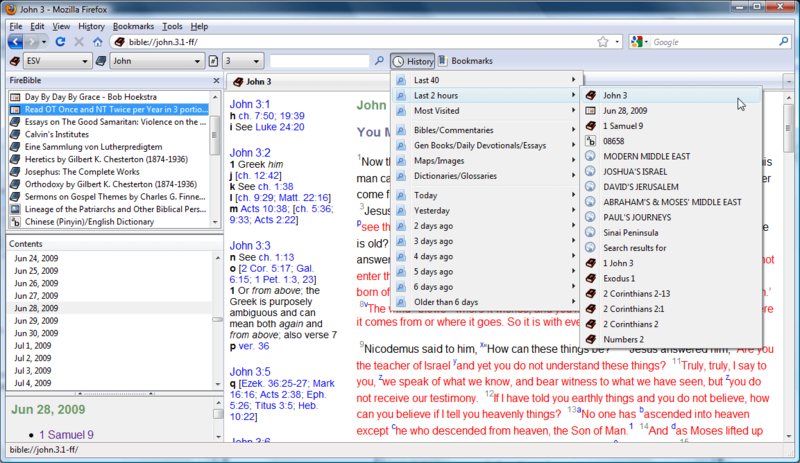 Of course, FireBible has always had history, bookmark and tagging support since the beginning. 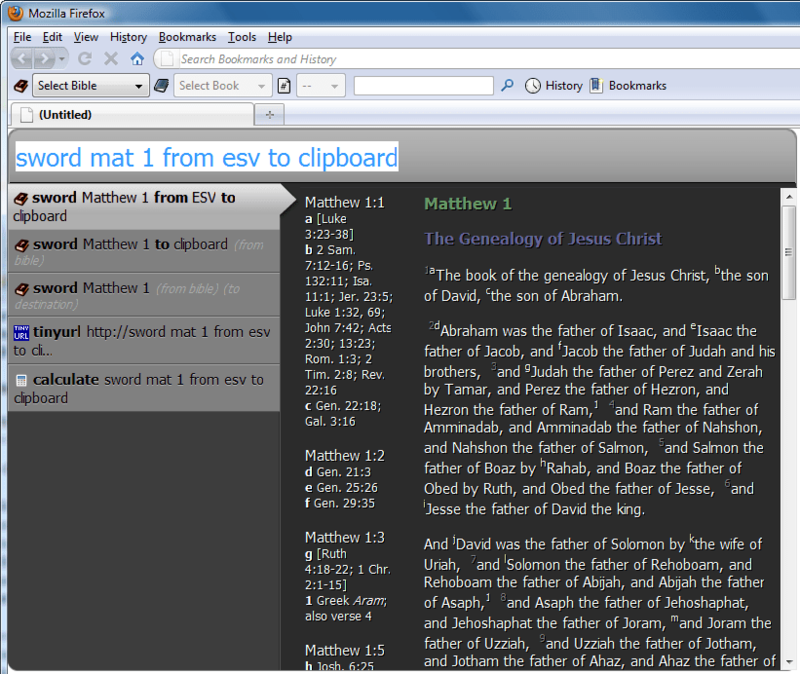 Anything you read is recorded in Firefox’s regular history and locations can be bookmarked just like regular HTTP URLs. 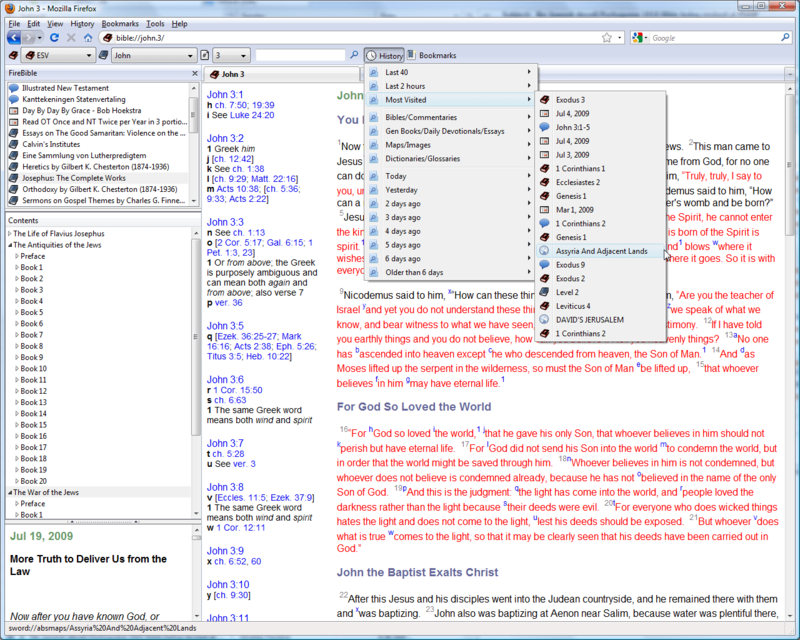 FireBible 0.9 simply adds annotations to these URLs so they can be correctly categorized and presents them in a central location, without being “disturbed” by your regular browsing history. 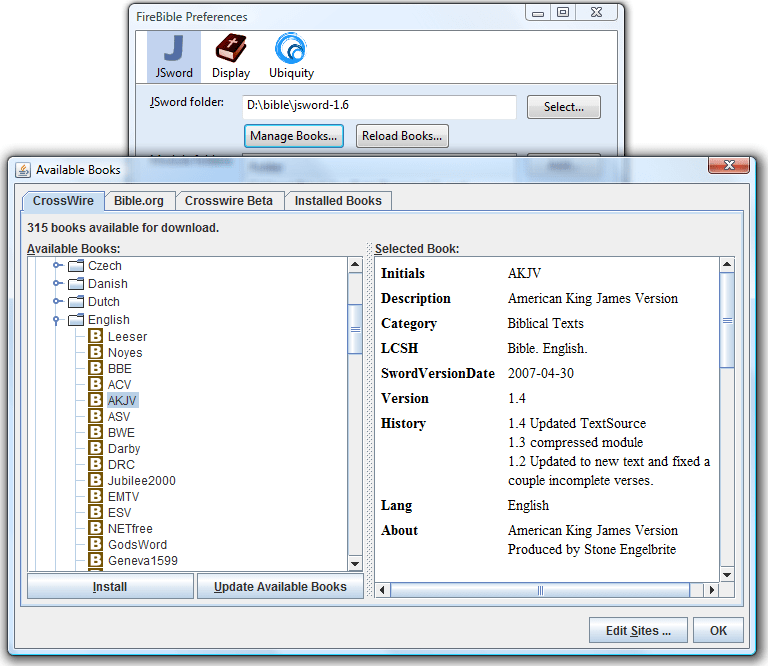 Because the annotations will only be added for content you read after installing FireBible 0.9, the categorization might seem off for a bit, but it will settle down with use. 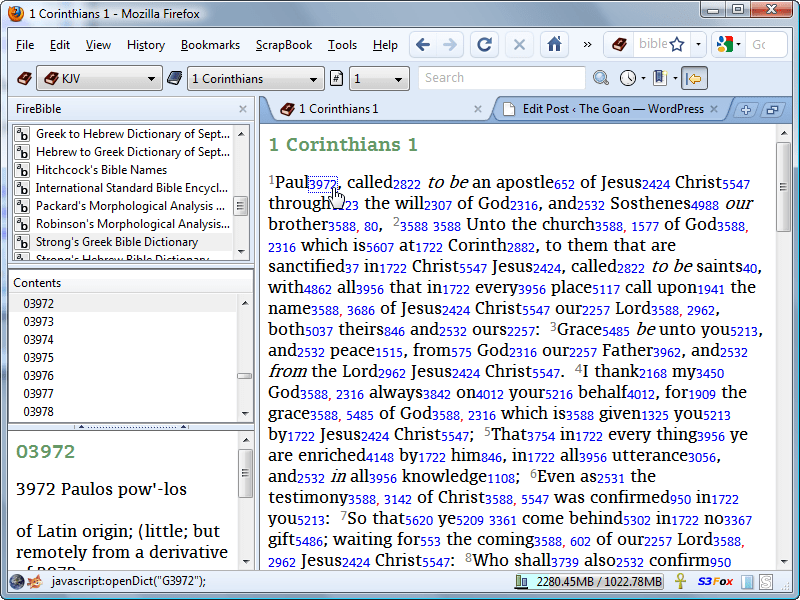 I plan to make FireBible 0.9 available around the time Firefox 3.5 is available. 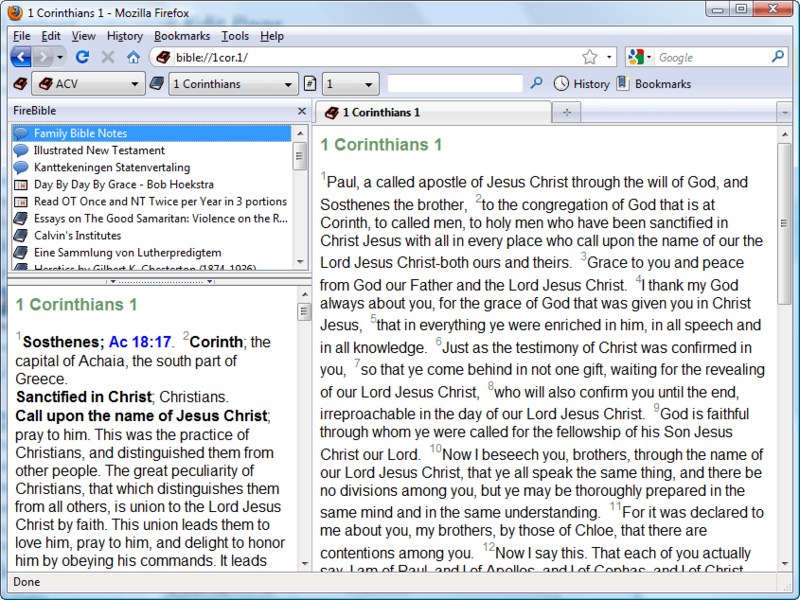 FireBible 0.9 will only work on Firefox 3 and above, Firefox 2 support has been dropped, primarily because of the places queries and some cool new features yet to arrive. Stay tuned! In the meanwhile, if you have any suggestions or critique, do send them along or leave a comment.